🏆 Good morning! Told you that game was gonna be good. Congrats to Craig Oppenheim of Westfield, Indiana, for winning our bracket challenge. Craig has been an Axios reader for nearly two years and is a huge UVA fan, whom he picked to win. Must be nice, Craig. Must be nice. One year and 24 days ago, the Virginia Cavaliers suffered what was surely the most humbling defeat in college basketball history, falling to No. 16 seed UMBC in a game that will never be forgotten. 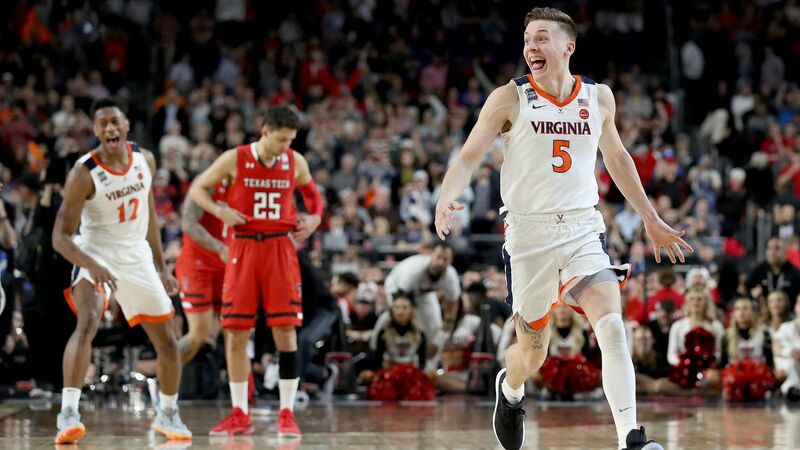 But after last night — a night that saw Virginia flip the script and win its first national title with an 85-77 overtime win over Texas Tech — the significance of last year's dramatic defeat has forever been altered. What we once considered a historic upset will now be remembered throughout the annals of history as something much more: the watershed moment that birthed a champion. Yes, you read that correctly: I'm suggesting that Virginia finds itself atop the college basketball world not in spite of last year's collapse, but rather because of it. "Sometimes you gotta go back to actually move forward. And I don't mean going back to reminisce or chase ghosts. I mean go back to see where you came from, where you've been, how you got here. See where you're going." It's a corny quote, made infinitely cornier by the fact that it comes from one of those horribly awesome Lincoln commercials. But I think I finally understand what it means. You see, UMBC didn't just beat the Cavaliers — they demolished them, 74-54, seemingly invalidating coach Tony Bennett's entire system. Heading into 2019, most believed Virginia would need to change their ways. But instead, the loss to UMBC forced Bennett and his players to go back. To go back and remember what had gotten them there. To go back and remember who they were. Instead of wavering in their beliefs, the remaining Cavalier roster embraced their identity — doubled down on it, even — thus beginning the 2019 season more confident than ever in where they were going: the top. P.S. Missing from that game a year ago? De'Andre Hunter, last night's MVP. "Where on God's green Premier League table would Chelsea be if not for Eden Hazard?" asks Deadspin's Lauren Theisen. "The Blues' Belgian stud got them at least two extra points singlehandedly [yesterday] by taking a machete to West Ham in a 2-0 win." "This was the second game in a row in which Hazard had a hand in two goals ... and his 16 total goals and 12 total dimes each double up the next best Chelsea player in those categories." The intrigue: Chelsea (66 points) is now third in the Premier League standings, just ahead of Tottenham (64), Arsenal (63) and Manchester United (61). The top four teams at the end of the season automatically qualify for next year's Champions League, so even though Chelsea can't win the league — Liverpool (82 points) and Manchester City (80) are way ahead — these games still matter a great deal. Perhaps even more intriguing is that Hazard is rumored to be leaving Chelsea this summer, most likely for Real Madrid. So he's currently dragging them to the Champions League — and might not even be on the team when they play in it. From Mike Sykes: Nine of the past 11 Stanley Cup Finals have hosted either Pittsburgh, Chicago or LA. And other organizations like Washington, Boston and Tampa Bay have been "nibbling at the fringes of the 'likely to win' conversations" for years, writes The Athletic's Justin Bourne (subscription). But this postseason, the field is more wide open than it has been in quite some time. It feels like everyone has a chance. It also feels like history could very well be made. San Jose Sharks (0 wins): Their main hurdle is the Calgary Flames, who are coming into the postseason on a cold streak, which has historically spelled doom for plenty of teams. St. Louis Blues (0 wins): The Blues are 8-1-1 in their last 10 games and are in the same bracket as the Predators, who finished 17 points worse than last year's team. Columbus Blue Jackets (0 wins): The Blue Jackets are hot (7-1-0 in their last eight games), which is great news. In 80 first-round series played since 2008, the hotter team was expected to win the series 52% of the time. Instead, they won 59% of the time, per The Athletic. New York Islanders (Last win: 1983): Their first-round matchup with the Penguins is favorable — they went 2-1-1 against them in the regular season. Toronto Maple Leafs (Last win: 1967): The Maple Leafs are coming in cold, but they have plenty of superstars — and star power matters more in the playoffs. The bottom line: If there were ever a year to see new blood hoist the cup, it might be this one. 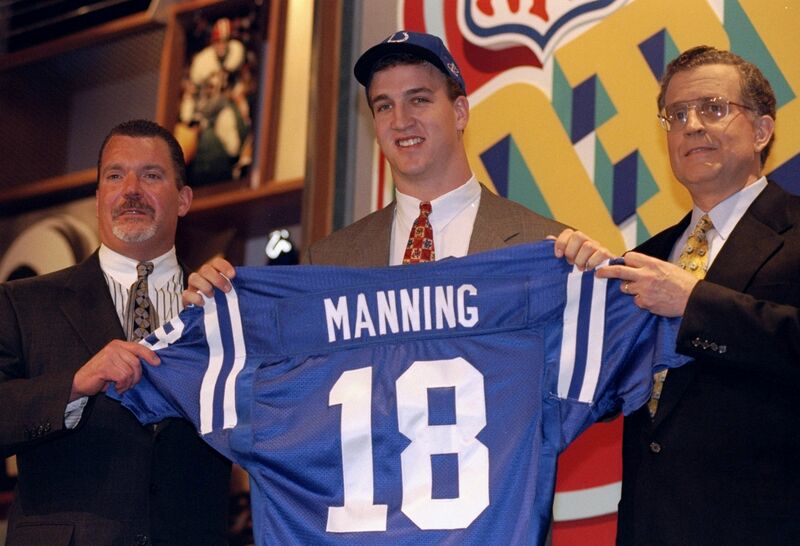 Here are the best NFL draft picks by round since 1994, according to "Approximate Value," a metric created by Sports-Reference to attach a single number to every player's career dating back to 1960. 41 years ago today, Gary Player shot a record-tying 64 (-8) in the final round of the Masters to finish 11-under par for the tournament, beating out Rod Funseth, Tom Watson and Hubert Green by one stroke. By the numbers: Before Player, the only golfer to shoot a 64 on Sunday at the Masters was Maurice Bembridge in 1974. Player entered the day down seven strokes but recorded seven birdies over the final 10 holes to claim the Green Jacket. Player's win made him the oldest Masters winner at 42 years old — a record that would be broken eight years later, when Jack Nicklaus won at age 46. Question: Pacers center Myles Turner is on pace to become just the fifth active player to average at least 2.7 blocks per game in a season this century. Can you name the other four? Hint: One is on an Eastern Conference playoff team, one is on an Eastern Conference team still fighting for a playoff spot, and the other two are on non-playoff teams (one East, one West). There's a six-minute video on YouTube about the man you see above, who has recently moved to Los Angeles to make a living as both a sumo wrestler and an actor. If you haven't read NBA sharpshooter Kyle Korver's article about race and white privilege yet, please do so now. "What I'm realizing is, no matter how passionately I commit to being an ally, and no matter how unwavering my support is for NBA and WNBA players of color... I'm still in this conversation from the privileged perspective of opting in to it," writes Korver. "Which of course means that on the flip side, I could just as easily opt out of it. Every day, I’m given that choice — I'm granted that privilege — based on the color of my skin." 10. Feedback: 🎰 Thoughts on Pick 3? The engagement on our daily prediction contest has been through the roof, so thanks to everyone for playing along. Glad this idea has panned out so far. Feedback requested: What can we do better? What do and don't you like? Did you prefer when we gave out a T-shirt to one winner each day, or do you prefer all the winners listed out (see below)? Reply to this email with your thoughts. And thanks again for helping this idea come to life. Yesterday's results: 43.8% correctly predicted that Virginia (-1.5) would cover the spread ... 56.3% correctly predicted that the two teams would combine for over 117.5 points ... 41.2% correctly predicted that Kyle Guy (24) and Ty Jerome (16) would combine for more points than Jarrett Culver (15) and Matt Mooney (10).